Monster Hunter World has been revealed last week during Sony’s E3 2017 press conference with a brand new trailer, which also featured the PlayStation 4 Pro logo at the end, pretty much confirming that the Capcom developed game will support the console. Recently, Monster Hunter World producer Ryozo Tsujimoto confirmed that Xbox One X players will not be left behind. Speaking with GameSpot, Tsujimoto confirmed that Monster Hunter World will feature support for both Xbox One X and PlayStation 4 Pro. What kind of enhancements we should expect haven’t been detailed yet. Yeah, we’re planning to support both Xbox One X and PS4 Pro. It’s great to see the specs are finally coming out for Xbox One X. So, yeah, we’re gearing up to bring you guys support for those platforms. 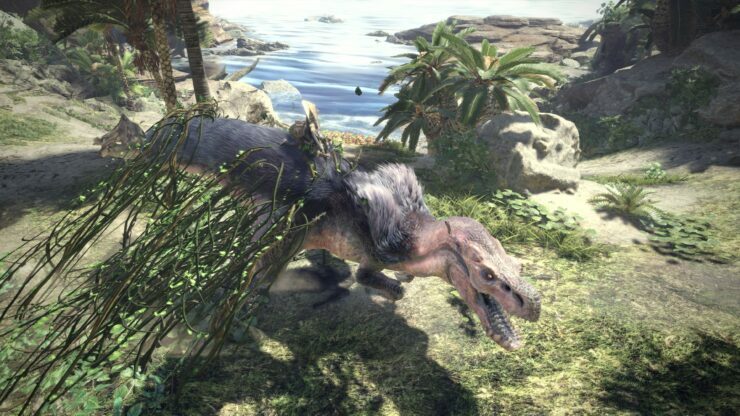 Tsujimoto has also been asked about another big change for the series that will be introduced in Monster Hunter World, region free servers. The game’s producer confirmed that the decision to make servers region free is due to the game’s simultaneous worldwide release, something that didn’t happen with the previous entries in the series. We were totally ready to take on that approach from the start, because in the past Monster Hunter has usually released first in Japan. You’ve got a period of time [before] Western releases. I think the shortest was six months for Generations, but often up to close to a year before the Western version comes out. We knew right away from the start for this game we wanted to have a simultaneous global launch window for the title. We’re planning to do that for World in early 2018. When you do that, it just makes so much sense. The title is releasing everywhere at the same time, then you want to make all the players be able to play with each other. So we have taken appropriate steps since the beginning of the project to be ready to bring global servers for online quests.